WINSTON-SALEM, N.C., April 4, 2019 — Does Wake Forest University know that, historically, witch hunts haven’t gone well in places named Salem? Based on the Winston-Salem school’s decision to investigate a parody Instagram post, they do not — and now a controversy is brewing. Today, the Foundation for Individual Rights in Education is calling on Wake Forest to drop its sham investigation. A March 22 Instagram story from a now-deleted account showed a hypothetical student government candidate (who is a real student, but isn’t running for office and didn’t know about the post) campaigning to “build a wall” between Wake Forest and nearby Winston-Salem State University. 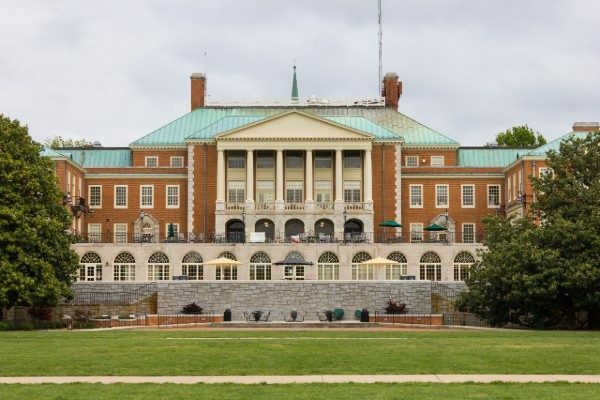 After circulating on social media, many commenters suggested the post was racist because Winston-Salem State is a historically black institution. Wake Forest President Nathan Hatch announced the following day that a team led by the dean of students was investigating the issue. “While the intent of the authors may have been a parody of a national issue, it was deeply offensive and unacceptable,” Hatch wrote. Wake Forest cannot stand by its commitments to free expression while launching investigations into speech that, while some students might find offensive, remains protected speech. FIRE wrote to Wake Forest on March 28, urging administrators to drop the sham investigation. The university has not yet responded. While Wake Forest is free to condemn jokes it finds in poor taste, it cannot mount investigations into student expression that the university purports to protect. Wake Forest earns FIRE’s worst rating for free speech in our Spotlight on Speech Codes 2019 report. Schools with the worst, “red light” rating maintain written policies that “clearly and substantially” restrict free speech. Elsewhere in the state, North Carolina institutions are leaders in protecting free speech. The Tar Heel State is home to 11 institutions with FIRE’s highest, “green light” rating — more than any other state in the country. We at FIRE are not amused that Wake Forest has violated its promises to its students, and we’ll continue working to ensure the university lives up to its professed promises of free speech.